A chain drive transfer system for higher speeds. 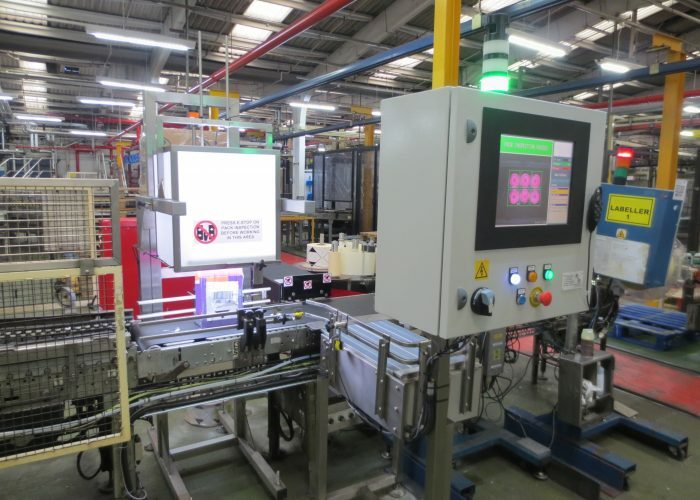 The aerosol containers are weighed and classified in accordance with adjustable parameters stored in the PLC / HMI system. 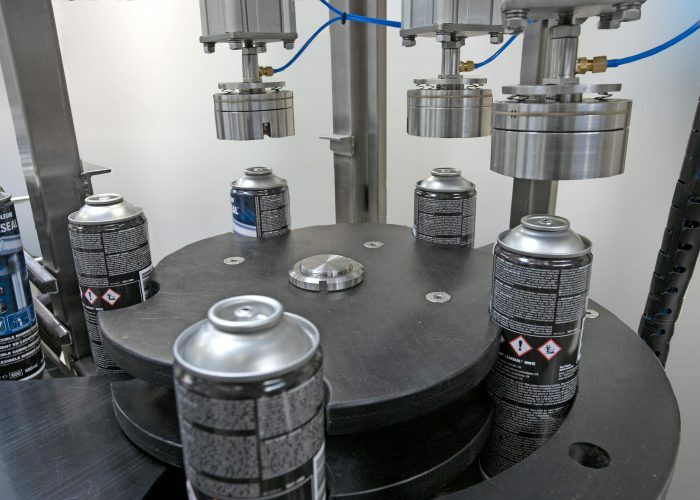 Aerosol containers not within the specified tolerance of an acceptable weight are mechanically separated from passing containers, which are indexed back onto the transport conveyor. An indexing machine has the advantage of weighing to an accuracy of ± 0.1 gram with process speeds of up to 120 containers per minute. 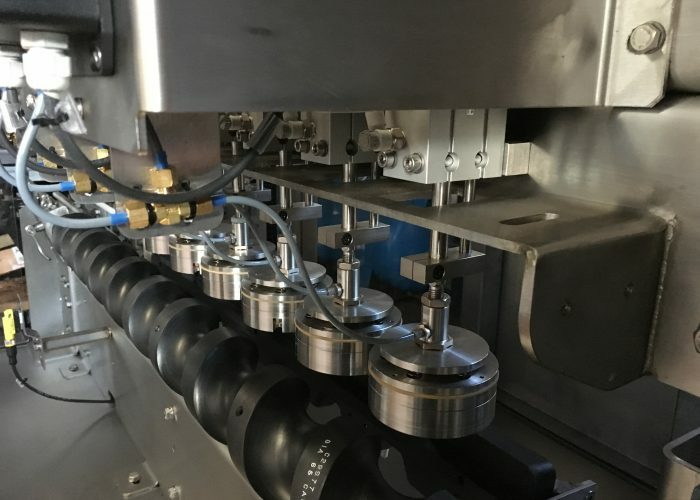 The disadvantage, is that a set of changeparts will be necessary to process each different diameter of container. 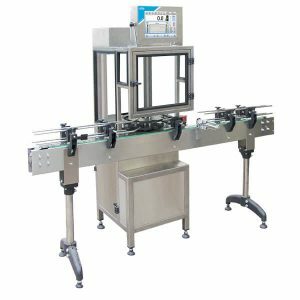 A chain drive checkweigher has the advantage of process speeds up to 300 containers per minute, and containers from Ø45mm to Ø65mm can be processed without the need for changeparts. The disadvantage, is a slight drop in accuracy. 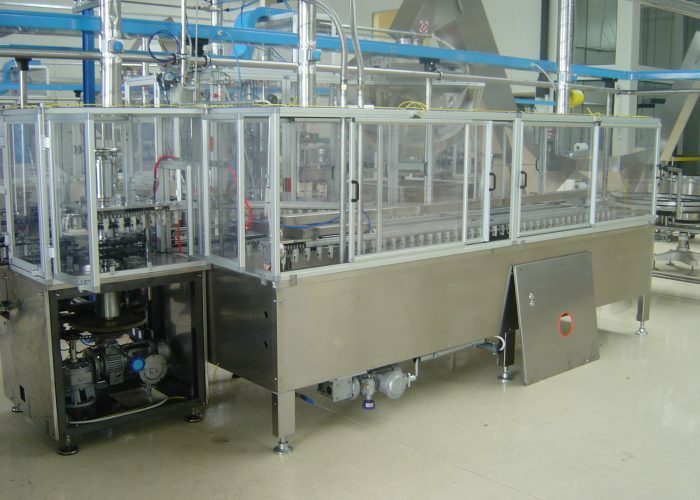 Aerosol Checkweigher Machines are typically constructed to comply with ATEX Zone II/3G regulations (classification Zone 2) but can be adapted to wrk in a Zone II 2G environment (classification Zone I).